Our Binding & Report Covers are made with high-clarity & durable high-impact clear PVC designed to keep materials protected and presentable at all times. Keep the vibrancy of ink jet printed text and graphics through handling and use with our clear cover sheets, ideal for proposals, catalogs, reports and binder dividers. In stock and available for shipment in various thicknesses and sizes, with or without tissue in round or square corners. 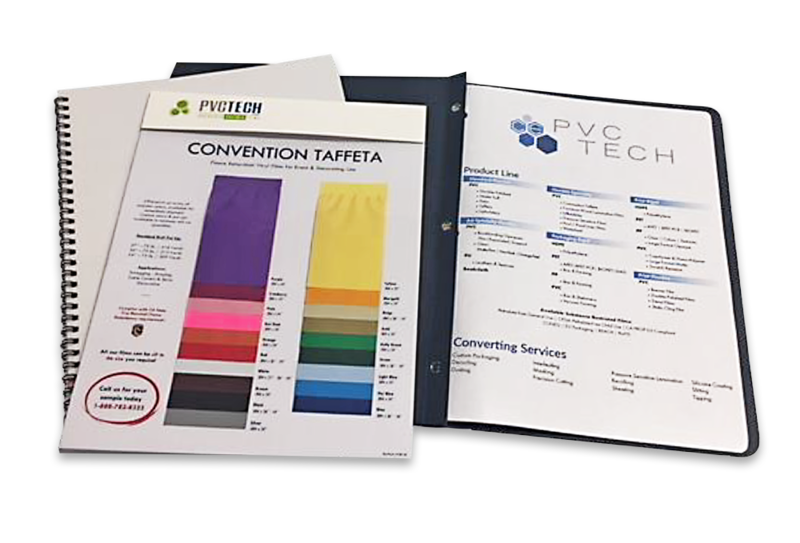 Custom thicknesses and sizes, corner styles and tissue available upon request. 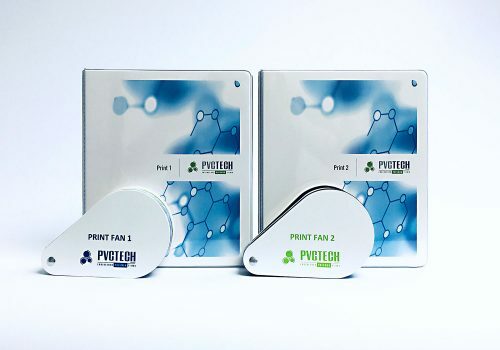 Our newly released Print 1 & 2 Books and fans feature an array of our printable rigid and flexible films in a variety of substrates. Introducing Milan 2, the newest addition to our Milan Collection of PU [Polyurethane films]. Milan 2 features a variety of contemporary polyurethane films in 9 plush textures with 56 beautiful colors to fit your turn-edge project . Our Milan 1 features 4 elegant designs with 54 classic colors to choose from. The Milan 1 & 2 Collections are perfect for menu covers, turn-edged use and high-end hospitality applications. Both collections are Phthalate-Free, lead-free, BPA-free and comply with CA PROP 65.